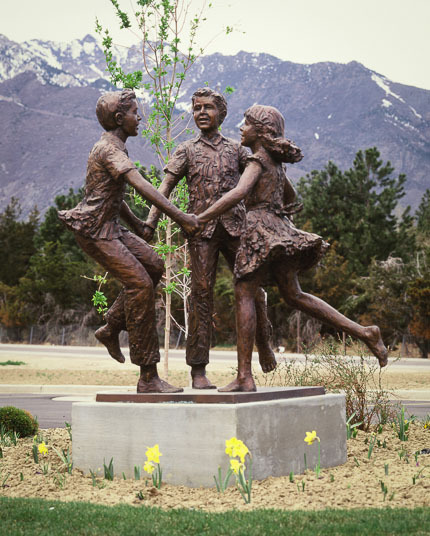 Together: This sculpture is an expression of a relationship between three figures (friends or siblings) who circle together in a familiar ritual of childhood. My desire was to create a composition which balanced between formal static tension and a lyrical movement which emphasizes the open space between the figures. Patterns of triangles flow through the entire composition. The arms create a sense of unity which is also carried into the positioning of the legs. This gives a feeling of being frozen by the camera lens, a moment of focus on the edge of movement.